Recently, closure of HDClub occurred, one of the best private torrent trackers. Among the reasons they argued were that in recent months they had not stopped receiving DDoS attacks. This causes many torrent web pages to be falling more than normal, not being accessible even for days. This week, The Pirate Bay was dropped almost a full day by a DDoS attack. 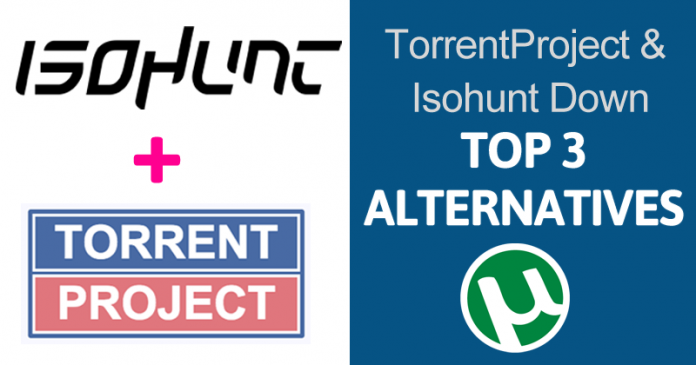 Others like WorldWideTorrents have lost their primary domain, and IsoHunt.to has disappeared without a trace. While it is normal for this type of pages to fall with relative frequency, the excessive increase of the last days, as much in the number of falls as in one of the affected pages makes to see that there is something that smells very badly. A DDoS attack that seeks to generate an excessive increase of connections and traffic in a web page or server, in order to saturate it and make it inaccessible or directly fall. TorrentFreak has spoken with several administrators of this type of portal, and all have noticed a suspicious increase in traffic that has generated temporary saturations in their websites. While some pages have recovered from falls, others remain untouchable yet. For example, TorrentProject.se has been down for three days. WorldWideTorrents, widely used for comics, has been inactive for several days. And seeing the WhoIs information, you can see that the domain is suspended, forcing the web to use another domain if it finally comes back. IsoHunt, who switched from .com to .to in 2013, now has been missing for a week. Does the industry found the weakness of torrent web pages? Who is behind these attacks is not known yet, but seeing what kind of websites are affecting we can quickly deduce who is behind these DDoS attacks: the audiovisual industry and partners such as BR EIN, RIAA or MPAA. The torrent web pages are based on ads, such as The Pirate Bay or the late ExtraTorrent, while others like SkyTorrents are based on donations to be able to cope with paying the servers. The latter has been closed a while in the last month until they have again had funds to be back up. These servers support a normal traffic of people looking for a simple magnet link and the file is downloaded, but they can not cope with DDoS attacks like the ones they have been getting in recent weeks. In the coming months, we could see how these drops go further since many of these portals can not afford to get more servers, while the industry itself can increase the traffic of its DDoS attacks.